Fed Up with Abusive Bank Commissions in International Transfers? 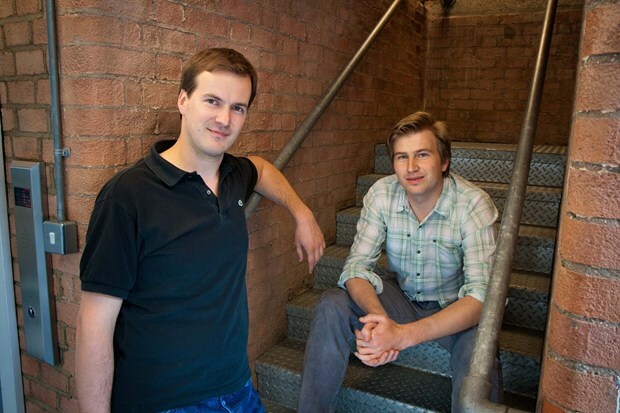 TransferWise, a startup based in London and founded by Taavet Hinrikus (left) and Kristo Käärmann (right) in 2011. For Hinrikus this is not his first adventure, he was the first employee at that other very successful startup, Skype. TransferWise offers a peer-to-peer money transfer service that can save you up to 85% of the fees that banks charge you for overseas transfers. It uses real exchange rates when transferring money and it is aimed especially at expats, foreign students and businesses with branches in other countries who lose a lot of money to banks that charge hefty commissions. The company only charges a £1 fee for transactions below £300 and a small percentage of any transaction above that. In its first year of operations TransferWise handled 10 million euros in transactions. The proprietary algorithm they developed connects people wanting to wire money to another country. Imagine you want to transfer money from Britain to Spain, for example. You put your money in TransferWise’s British account, the algorithm then finds someone wanting to do the same from Spain to Britain and who has deposited the money in the company’s Spanish account. The exchange is done at the mid-market rate. To make sure there is someone at the other end, and to ensure liquidity, TransferWise works with The Currency Cloud. The service now converts from euro to GBP and GBP to euro. It also converts from euros and GBO to US Dollars (USD), Polish zloty (PLN), Swiss francs (CHF), Danish krone (DKK), Swedish krona (SEK) and Norwegian krone (NOK). It is working on transfers in the other direction as well, but this is not available yet. Hinrikus and Käärman believe that money, like water should flow freely, but this, of course, is not easy. Their new platform is a close as we can get.